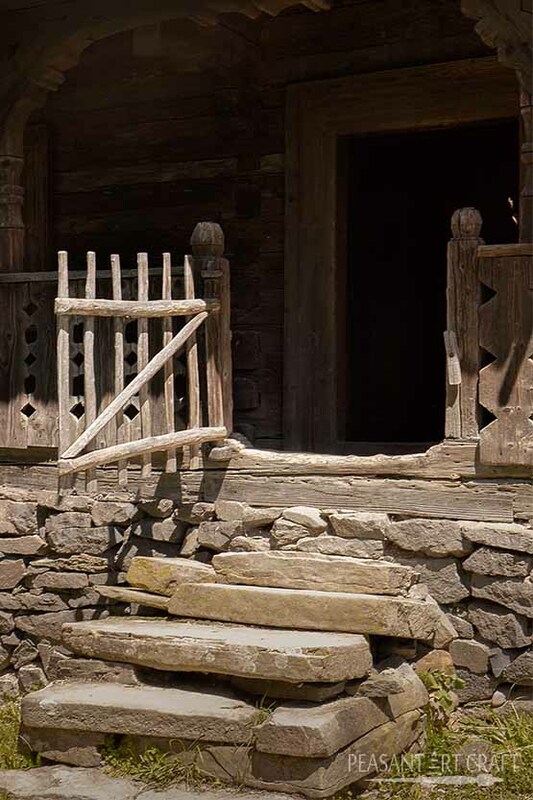 Beauty and utility are profoundly intertwined within a Romanian homestead. 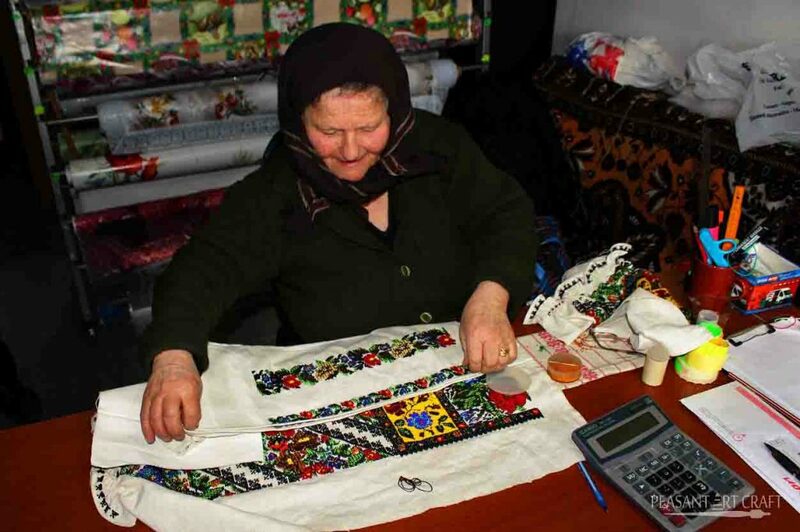 Traditional wall carpets craftsmanship of Romania has prevailed among peasants. The typical zest for living flows from a setting where aesthetics and usability work together to make life more vivid and enjoyable, pointing out a way of thinking and underlying needs. Romanian carpets from Oltenia bear a wide variety of motifs, prominent among them horses and riders, roosters, dolls, cuckoos, stags and other various symbols. Hemp or cotton is used for the warp and wool for the weft, painted in a few predominant colors, usually deep blue, pastel green, yellow, burgundy red. 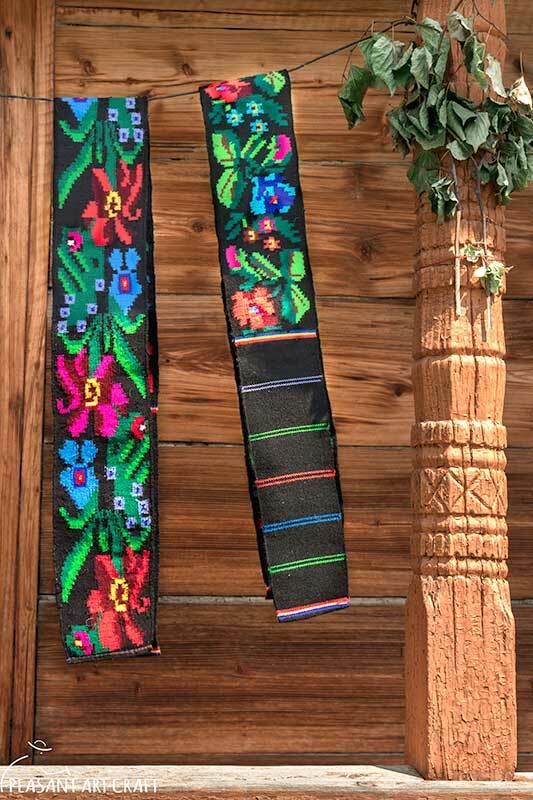 Weavers from Oltenia have proven talent and imagination with kilim weaving arts. A kilim is a pileless, hand-woven, flatweave traditional rug. Kilim designs are made by interweaving the variously colored wefts and warps, thus creating what is known as a flatweave. Curved weft and slit weave tapestry are textile weaving techniques employed. The slit refers to the gap left between two blocks of color. Scoarţe are some long and narrow wool carpets used for wall hangings, often displayed in the clean room (guest room, camera bună, casea mare). The clean room is unused during the year, except for holidays, when guests are invited for dinner , or during ceremonial rites, such as baptism,marriage, funerals. A number of common motifs and designs found in Oltenia scoarţe are vegetal (phytomorphic), as well as geometric motifs and gemotrized avimorphic (birds) zoomorphic (animals) and anthropomorphic (human) shapes. Most common motifs include stylized leafs, fir branches, tulips, trees. I have purchased the true Romanian floral kilims for 40 years. When I could afford or find. They are so pretty. Do you have any I can purchase for my children’s homes? Hello! Send me an e-mail with more details at [email protected]. Gr. Bianca.